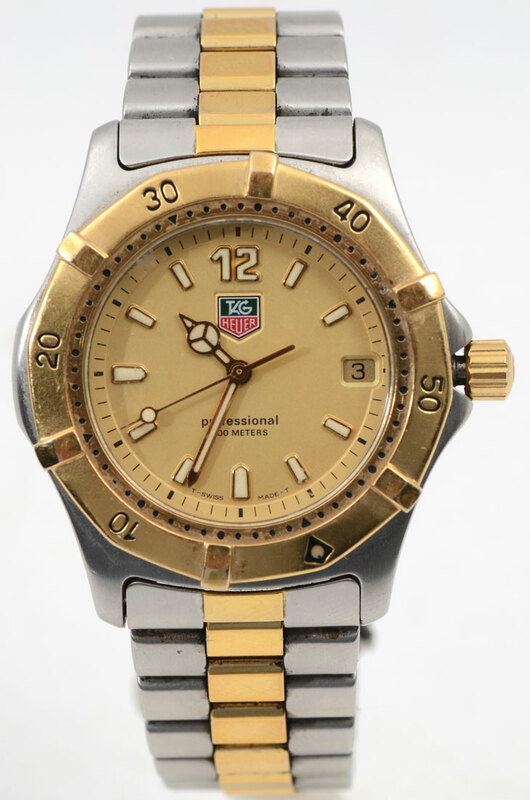 TAG HEUER 2 TONE PROFESSIONAL WATCH WK1121-0: This is a handsome Men's Authentic Two Tone Designer Professional 200 Meters Tag Heuer Watch. 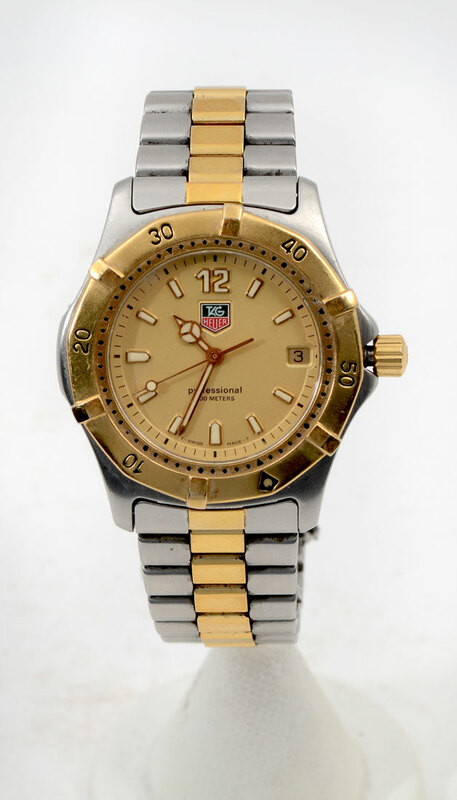 Features a gold, with white markers, a date box, 3 hands (one for seconds). The case measures 37mm in diameter without the crown, complimented by the 18K gold plated bezel that features Arabic numbers. Stainless steel bracelet has 18K gold plated accents. Measures 7.5 inches long, closing securely with a fold-over clasp. Model number WK 1121. 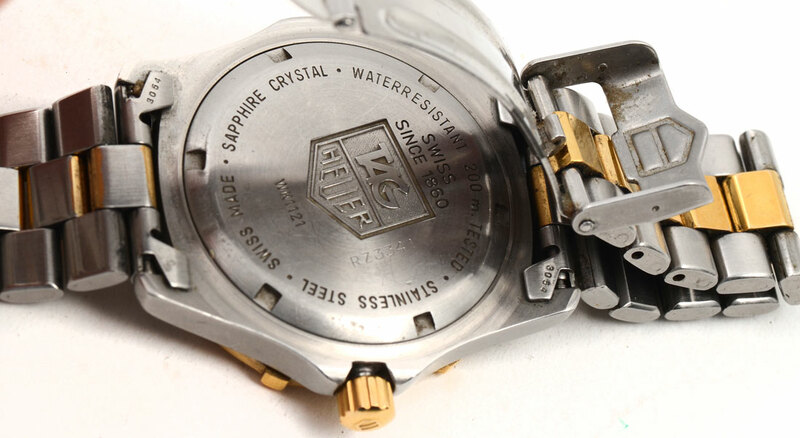 Swiss Made, Water Resistant, with a sapphire crystal bezel for anti-scratch and anti-glare feature. CONDITION: Case and bracelet show normal wear.